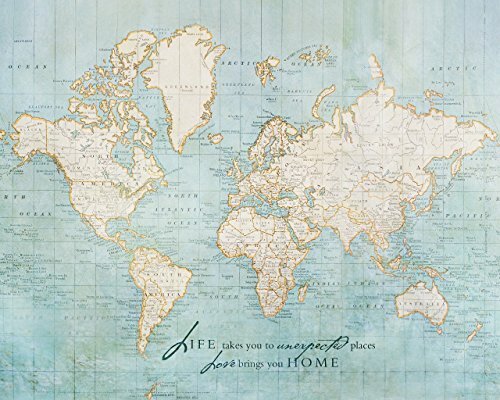 This inspirational photo art print features an inspirational quote against a copy of a vintage world map (pre 1940's). ✦ One custom photography 8x10 Photograph (UNFRAMED) only. Fits into standard frame sizes. ✦ If you are looking for a personalized version of this print, more inspirational photos or a different size/canvas, please search my shop "Inspired Art Prints" on Amazon to order or have Inspired Art Prints create a custom order for you. We offer a full selection of gift prints for him, her, wedding, anniversary, baby and inspirational home decor.